Mello Vibes Entertainment Experience! Steel Drums & DJ Services! The relaxing sounds of the Steel Drum can simply be the music that starts the evening. 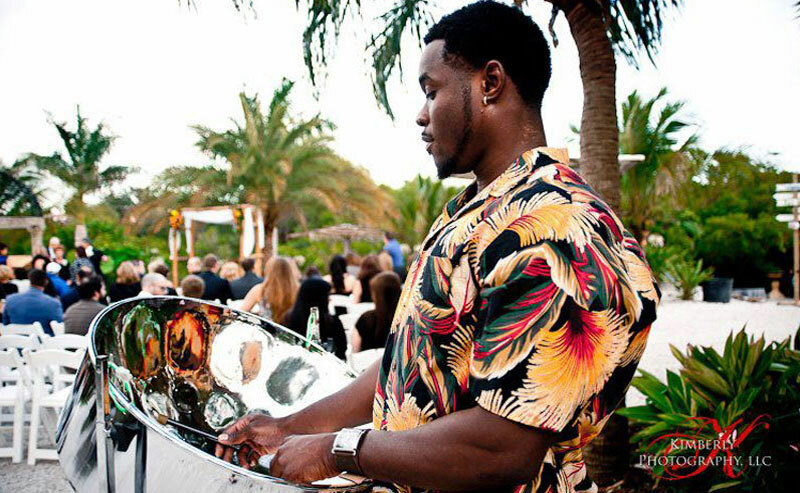 Accompanying the Steel Drums, Mello can provide smooth vocals for your cocktail hour, beach party or any Caribbean themed event. In addition, He is a seasoned DJ ready to spin all your top 40, reggae, pop, soul, rhythm and blues, reggae, country, Jazz etc. and many more songs throughout the evening. "Allow me to add a twist to your traditional wedding introductions, first dances, toasts to get the party start with my smooth Caribbean accent as your MC/Master of Ceremonies". "Entertaining is my life MON!" I want to be a part of your special event! 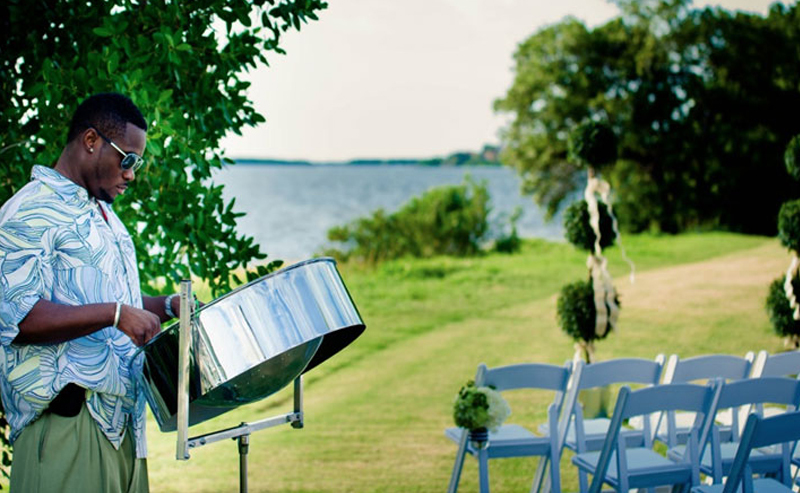 If you are interested in a true steel drum performer in the Tampa, Clearwater, Orlando, St. Pete, Sarasota and the Greater Tampa Bay Area that can provide a refreshing, yet energizing, experience of melodic Caribbean tunes for your event, then your search stops here! 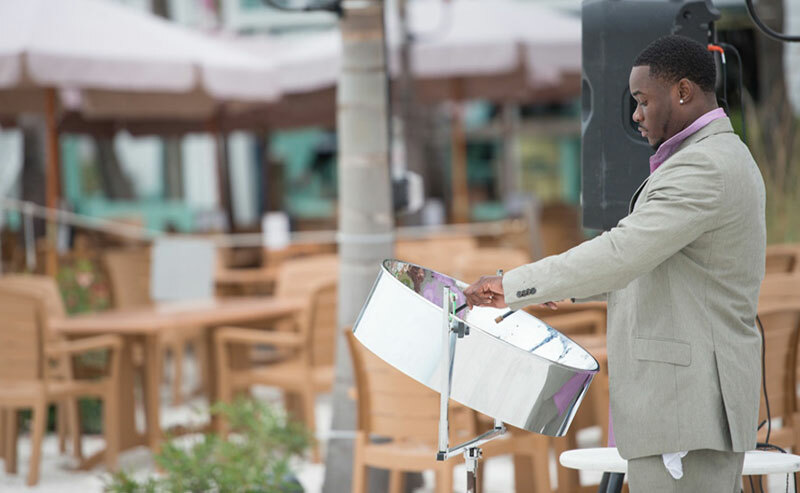 Having an authentic steel drum entertainer will definitely make your destination dreams come true at any Caribbean themed occasion. Mello Vibes can provide your traditional wedding ceremony songs of "Here Comes the Bride", "Cannon in D", and "Recessional March" followed by free flowing, hypnotizing steel drum music during your cocktail hour. 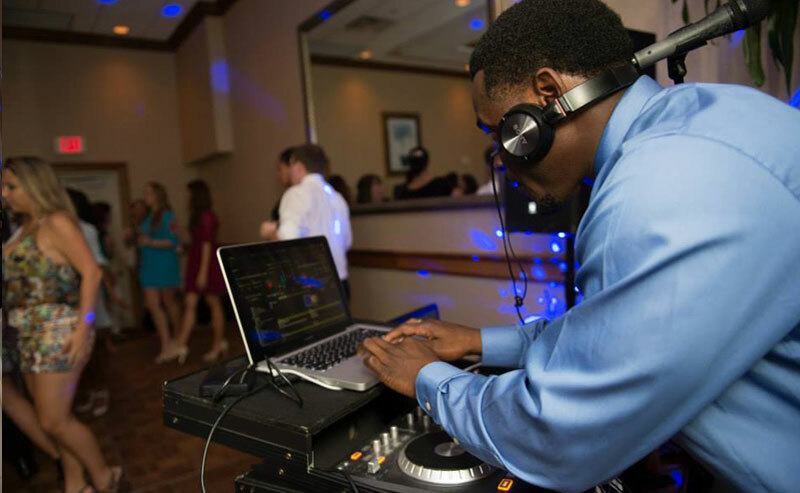 Mello Vibes will provide an all out live Caribbean performance with vocals or DJ dance party for your reception while taking on the duties of the Master of Ceremonies or MC. Mello Vibes' mix of moody consistency and expressive exuberance can set the scene for, or compliment, any Caribbean moment as your guests savor in the experience. If you're in the Central Florida area, "Come party with the Mello Vibes crew mon', it will be our pleasure to entertain you... and remember there's no party like a CARIBBEAN PARTY!" Take the stress off planning your event, Mello's got you covered! 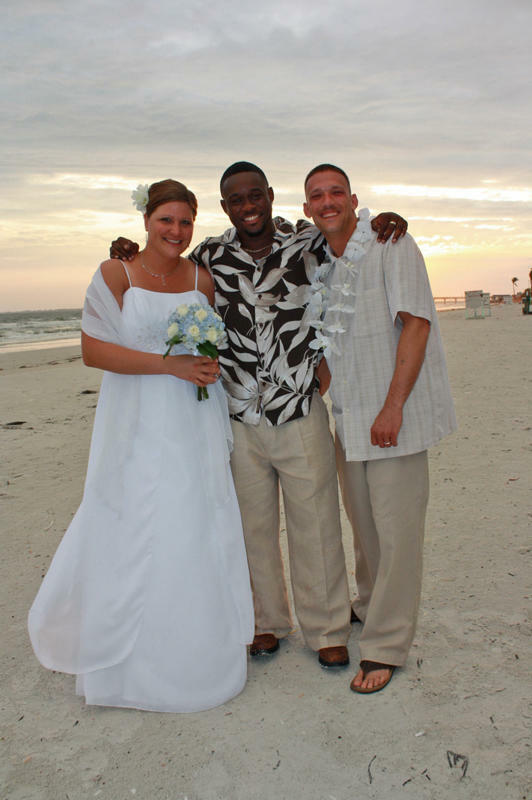 Our daughter Stephanie & I first met Shamel "Mello" in May, 2015 when we were interviewing vendors for her destination wedding at the Sandpearl Resort, Clearwater Beach, Florida. After talking to Mello for 30-40 minutes, we hired him on the spot. He proved to be the perfect choice. He was very patient, easy, & pleasant to work with, & very reasonable. Our daughter & her fiance were married on May 14, 2016, at the Sandpearl. Mello played his steel drums during the wedding & the cocktail hour that followed (absolutely wonderful)! 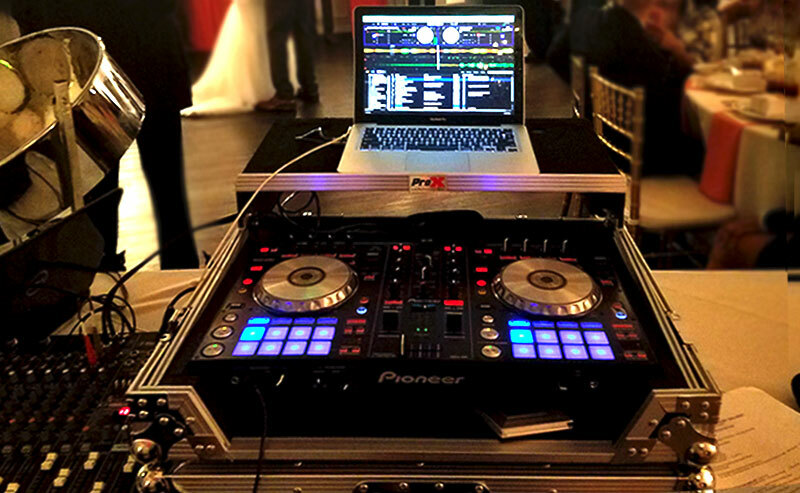 He next moved to the ballroom to continue as a DJ at the wedding reception. His bridal party introductions were perfect. Pronounced our last name, not that easy a name to pronounce, correctly every time! Guests were raving over his performance. My husband, daughter, & I highly recommend Mello!! Just sorry he isn't in Atlanta. We would love to hear him play again in person!! Mello was awesome!! 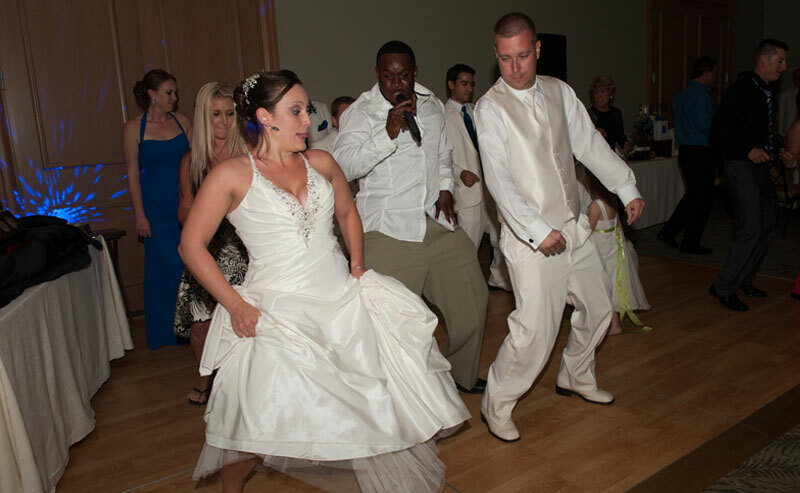 He kept the guest at my wedding on the dance floor for the entire night. Our guest loved him! Mello was very professional and easy to work with. I highly recommend Mello for any event!! Thank you so much for the ceremonial music you provided for us, it was pure island. Everyone loved the way you play and we thoroghly enjoyed listening to you while we had pictures done. Thank you again for the outstanding performance. Debut Album "Feelin' The Vibes" is now available for purchase!! Get Your Copy TODAY!!! $12.99 (tax, shipping & handling included) Great for wedding/party favors!!! Bulk rates are available. Copyright 2014 - Powered by Rokstar Webdesign.